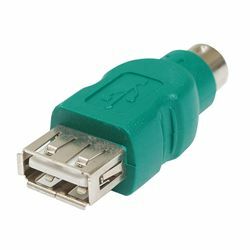 Connect a USB device to a PS/2 port on your computer with this simple, compact adapter. Color-coded for easy installation. Please note that this adapter only works with USB mice that are wired for use in a PS/2 mouse port. If your USB mouse did not include a cable converter, this adapter will probably not work with it.